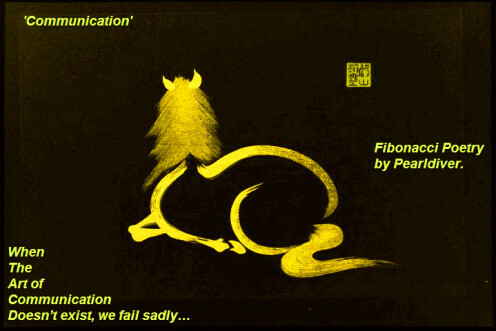 There are times in many friendships and relationships when for whatever reason, the very skillful art of communication is completely ignored, or is taken for granted, or just simply breaks down in a manner that puts unnecessary strain on that relationship. Times like that therefore tend to highlight the difference in levels of understanding between the parties. Understanding how to communicate with each other effectively is crucial to the degrees of respect, growth potential and ultimately, the very survival of every relationship. Being able to maintain good relationships requires a lot of work from both sides. The very ability to realize and adopt that practice, calls on the parties to possess a depth of commitment that is not only emotionally mature, but also able to be trusted, relied upon and mutually respected. Basically, if you care enough to care, then care enough to always care fully. Set that expectation in place as part of the key aspects within the foundation of the relationship, in such a way that ensures this commitment and attitude will always be respected. To some however, that commitment thing, or rather the making of it, is in itself an issue. If so, then many problems are going to be forthcoming, that will put the relationship at risk, or call for a series of concessions to be made, generally by the party most prepared to commit. Factually, caring for someone is not in any way, something that should call for concessions; most of us wish to be accepted for who we are and therefore hope that our relationships will be unconditional. True friendship is a non judgmental thing, therefore it is also something that is very special, as many social environments today call for us to adopt a judgmental approach towards those we consider to be friends. Another important thing to consider is that by understanding yourself and what your needs really are, you have the opportunity of being able to develop good communication skills, as long as the other party is able to openly do the same. If however, the relationship breaks down or turns pear shaped for some reason, then at least a mutual understanding exists of those needs and can provide a welcome platform for both parties to attempt to resolve their issues in a realistic and amicable manner. Established common ground is always important. 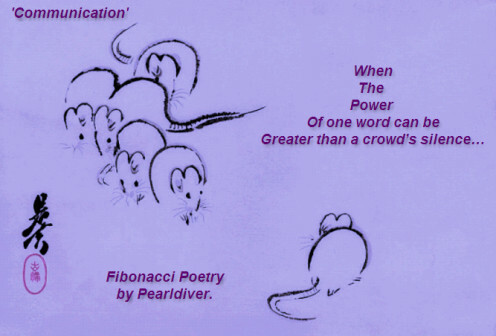 Copyright © 2012 Pearldiver – Art of the Diver with all rights reserved. Talking and listening is always going to be the greatest form of communication in any friendship or relationship, as it provides open evidence of the level of understanding, at any time, gauged merely from each party's willingness to engage and maintain conversation that is meaningful to each other. Not communicating is often used as a defensive tool to non verbally get a point across, generally one that 'says' "I don't care!" Factually, many who adopt that approach, really do care, but are also inwardly afraid of getting hurt or themselves rejected. We humans are complex animals, but deep down, we often seek the very things that we are afraid of, yet fail to communicate that to the ones that we do care for. Not talking through unresolved issues is one perfect way to create a negative outcome. 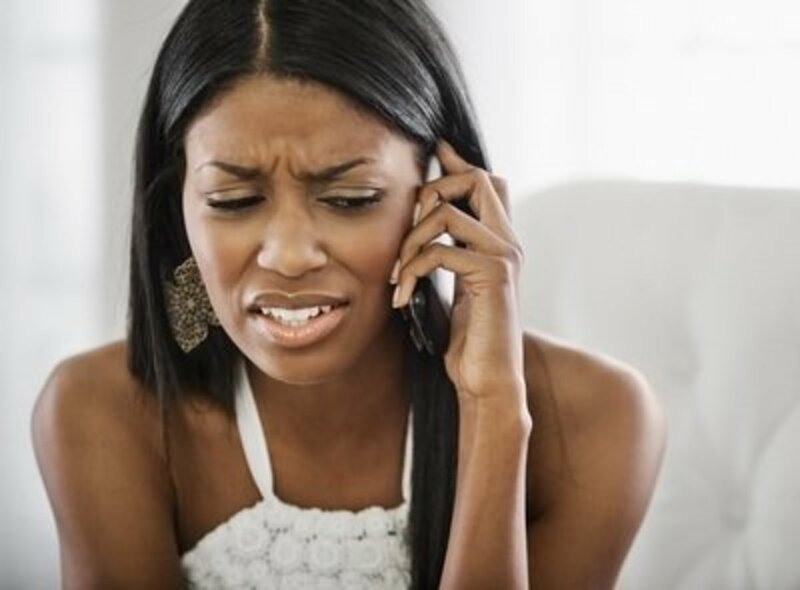 Many often also use negative excuses for not communicating and to justify their fear of commitment or lack of self respect, effectively hiding behind that act of avoidance. While not approaching the reasons why it is felt that not talking, is the way to solve a problem, what can and often does result is, that a permanent lack of communication skills is developed and over time that turns inwardly into anger and perceptions that have little bearing on the original decisions made. Of course, those are the exact occasions when talking really does have the ability to show how important any established common grounds really are and how much stronger they are when measured honestly, against perceived problems. Below is another piece of poetry by Pearldiver called; 'We Don't Talk'. This poem relays a message for those who don't make the effort to care fully enough to not find reasons to avoid talking. 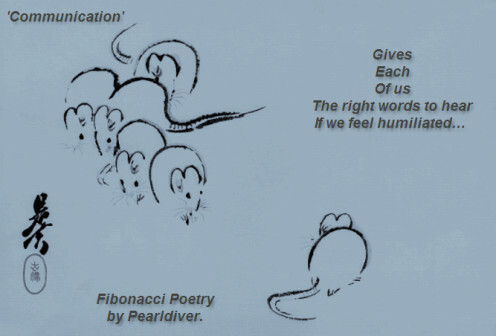 Also the enclosed set of 5 Fibonacci poems on the subject of Communication give a positive reason why, or how communication is worthwhile. But effectively, all communication should be taken for what it really represents - the ability to allow others to care for us and to show them, that we are worthy of the respect required to be that someone who genuinely cares enough to be loved and appreciated genuinely. Communication makes the world go round... after that has been established... love keeps it turning. Take the time in your life, to communicate with those in your world; let them know what really is in your heart. Remember: A true friend will not judge you and to be a true friend, one needs to always care fully. Please VOTE here for the best. Which of these poetry pieces did you prefer most? There are always good words available and just waiting to be used, in every relationship. Often we don't know all the facts to something that worries or concerns us and as a result, we tend to perceive the reality of the situation as being, what we feel it is. So often we are wrong... but that's not the issue... the issue is... accepting our mistake and making sure that our information is not flawed... thus allowing us to make an informed decision in a non judgmental way, based on what we know, as opposed to what we don't, or what we perceive to be true. Remember - In one way or another, every single relationship that you have or have had, has at some time relied upon you and your ability to care enough, for yourself and the other party, to at least attempt to communicate effectively! Have you ever considered that point objectively? If not, then also seriously consider the words within the poem 'We Don't Talk' as they represent a real life relationship, perhaps similar to one of yours... cheers, take care. Thanks for reading this page. Links to further popular works by Pearldiver. How To Train Your Younger Sibling: Five Lessons for Older Middle Children. How to Train Your Younger Sibling: Five Lessons for Older Middle Children: by Pearldiver. A humorous look at the dilemmas faced by having brothers and sisters and how some deal with this thing that we usually don’t have a lot of say in. The Japanese Samurai were arguably the greatest warriors in modern history; living their entire life by the Code of Bushido; the samurai code of honor. 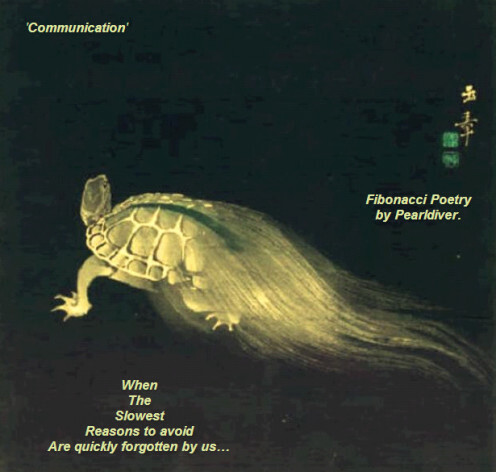 Haiku - Bamboo Poems; by Pearldiver. Pet Secrets:10 Personal Secrets That Your Pets Will Never Tell You. It's amazing how little is known about the secrets Pets have With People and People With Pets: Those special relationships don't mean what you think! Patience: Love Will Find You Again. This is a tribute to the greatness of Patience and Love. Amazing Poems of Hope: Life Circles: About Suicide. Being young and being hurt, or not knowing how to deal with things that you feel are really important, can sometimes push you off the edge. 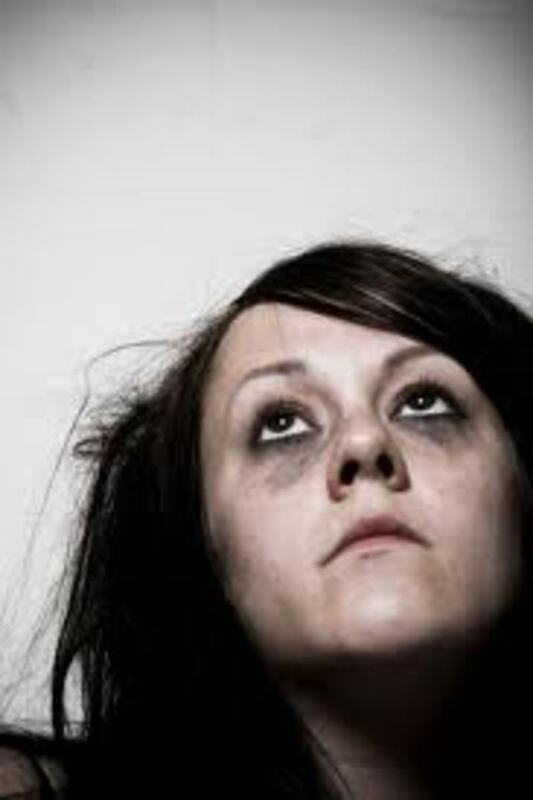 Wondering Why SHE Has Emotionally Pulled Away? Is He Spontaneous Or Just Rude? Hi LT, thank you for your review of We Don't Talk... I appreciate your words here and I'm sure many others also have experienced this situation. The perception of being too late is one which really only endorses an excuse for not doing, or making a real effort to resolve the issue in many cases... and I guess, that in itself makes the whole lack of communication thing a lot sadder. 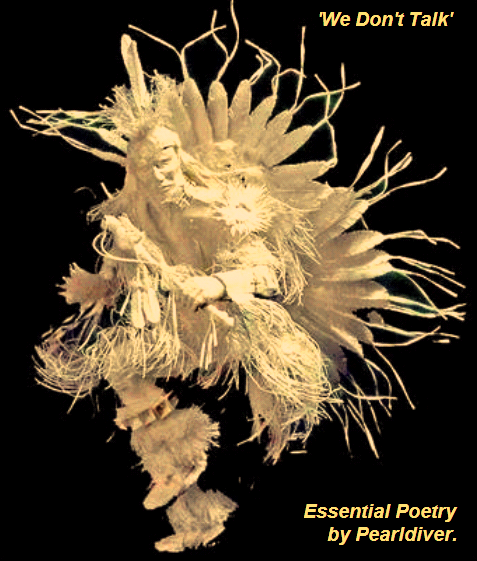 Quite a hard subject to write on, so I'm glad that you feel life within the poem... having a pulse is after all, a very important factor in the life of written words and the poets who share them... cheers for your positive input LT... take care. Beautiful poem, very touching ..... I can truly relate to your poem. I just wish someone else had written it! We were friends and some misunderstanding tore us apart, and I have so many things to explain..... But it's seems late now! Your poem seems so alive, and true. Hi there Ken, I am honored to have you read, assess and comment so deeply on this work... thank you for taking the time to do so... Yes, I guess that 'We Don't Talk' actually does describe why so many are alone! I hadn't considered it from that perspective, but clearly should have. As you have stated, many relationships would work out if those things needed to be heard and needed to be said, were mutually expressed and respected... it is often from the benefit of hindsight, found as a result of great soul searching, that such a realization becomes so glaringly obvious, standing out from an ego that has held it chained with excuses. My eloquent scribe. You have brilliantly described why many of us are alone today. In my case, I've always been a great communicator in my business life, yet when it came to communicating properly with a woman it mostly turned into a disaster over the long haul. Oh sure, the lust and love was there always, but when we grew deeper into each others lives over time the communication levels started to wither on the vine. I truly believe if we both could have TALKED and LISTENED properly our relationships would have had more merit. I seem to be able to communicate on a friendship level or even dating, but when it comes to commitment and living under the same roof and sharing eveything intimate and professional I tend to sink the ship. I suppose I never really was the marrying kind, although I love deeply when I love. Like the late crooner Frankie Sinatra sang. "I Did It My Way" could apply to my demise as a husband and partner in any woman's life. Now I live alone, enjoy my own music, cook what I like to cook, keep guarded secrects, enjoy a few close friends, and now write about all my successes, failures and near misses in my life. Thank you for sharing this very insightful write, it hit home with me. I am envious of those who can stay in love with deep respect for each other forever until the end. I unfortunately am a casuality of failed marriages. Peace and blessings I send to you this eve my scribe. Voted UP and shared. Communication is 2 way thing in that it requires at least 2 steps for anyone to take, to achieve the objective... Having an unreceptive audience can also be assessed on that basis, but it takes only 1 step for someone to not bother to listen... and it only takes 1 step to ensure the words offered are worthy of the opportunity to communicate, if the audience is indeed worthy of the words! Why waste pearls huh? Communication....... so many reasons why it can be difficult, so many. A great subject to attempt, i would not know where to start. you can be communicating, and be so misundersood in your communication, if you have an unreceptive audience. Must come back and take another look at this. Cheers for that Lily, you are most welcome... take care..
Hi Lily, wow... this poem 'We Don't Talk' is very relevant to you also then... you have expressed your words here with great imagery of a writer's solitude and what it takes to 'reward' our persistence... I'm glad you like this work and I appreciate your positive comment. I am so happy to say that, my closest friends, who were alienated by my depression over my Mother , for 7 years, (which broke my already broken heart), came by, t0 drop seasoned wood in my lap, when Iwas out of good wood, and fuel, freezing. I Always thought, (knew) they were the best people on earth, after all, I got them together thirty years ago, knowing they were meant to be together... I was able to hug Nick and Sheila, the people I have valued most in this world, and say, out loud, to both, I love you. A burning fire, a few dogs, some food, and good friends ,love in my heart. Is there anyone luckier on the planet tonite? You are right, Pearl. Love must be expressed to give, and receive, I guess it's hard for me to feel I deserve it, but, if such worthy people choose to give me that awesome gift, I must not be far wrong. Great communication, when practices regularly makes for a happier life and promotes good relationships of all kinds. I liked your unique ideas. No doubt communication makes the relations perfect. Loved your poetry. communicating is so important in a relationship. Your images are perfect for this piece..Thank you..